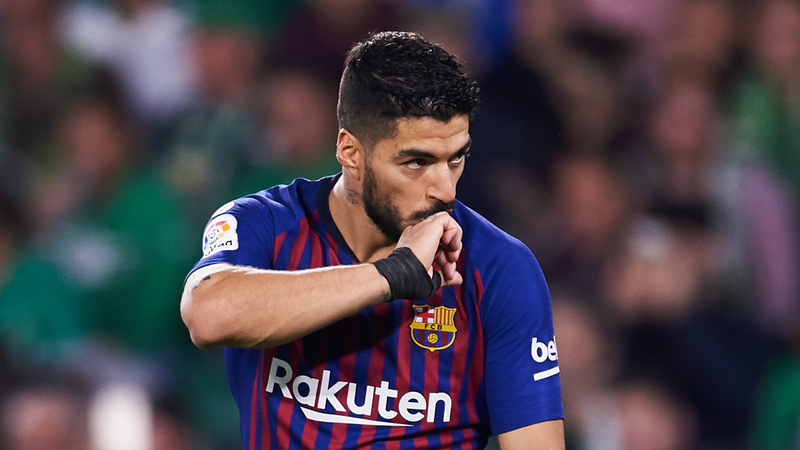 Suarez sustained the injury during Barca's 4-1 LaLiga victory at Real Betis on Sunday, where he made way for Philippe Coutinho during the closing stages after a goalscoring contribution. But Suarez could be back in action for the league derby against Espanyol on March 30 and his prognosis means he will be available for the clash with second-placed Atletico Madrid on April 6, as well as the trip to Old Trafford four days later. The goal against Betis was Suarez's 18th in LaLiga this term and took him level with Diego Forlan as the highest-scoring Uruguayan of all time in the competition, with 128. Victory moved Barcelona 10 points clear of Atleti at the summit with 10 games remaining.